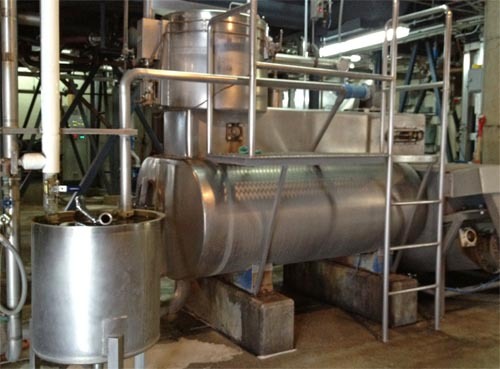 “Salad shooter” is an Anchor-specific term affectionately given to the device that moves the spent hops from the hop separator to the spent grains silo. 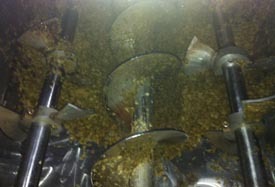 The exterior of the hop separator (center) and the salad shooter (right). The salad shooter at work. 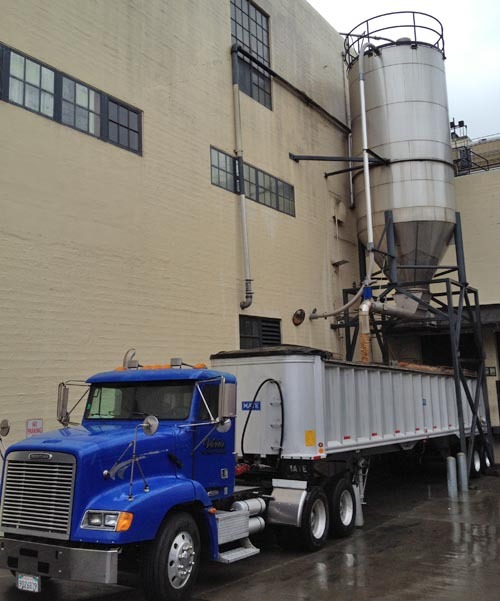 Spent hops and grains are transferred from the spent grains silo for transportation to a local dairy farm.